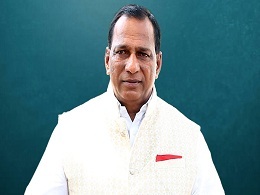 Malla Reddy College of Engineering & Technology (MRCET) is a constituent College of Malla Reddy Group of Institutions (MRGI) established in 2004..
Shri Malla Reddy, the most humble dynamic and charismatic founder chairman is a visionary who brought about a revolution in the field of education. He is the avant-garde (pioneer) in creating numerous avenues which made professional and technical education accessible to young aspirants. Under his esteemed leadership, the campus has grown by leaps and bounds to become a major learning center with 14 institutes offering almost all Engineering, Management, Computers and Pharmacy courses. Two hospitals namely Narayana Hrudayalaya Malla Reddy cardiology hospital are functioning in Malla Reddy Health city. His life has rekindled many lives by not only igniting their dreams but also by accomplishing them. 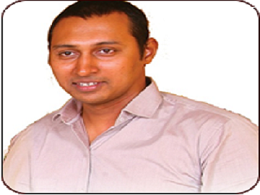 He strongly believes that only education can bring across a positive change in the society. We are living in an era where technology is advancing faster than we could have imagined. Inorder to keep pace with the changing scenario, we need to acquire professional education, which will help us in developing our resources catering to the global needs. The choice of a college where you will pursue professional education and which will provide you the place from where you will embark on your first journey towards your career is an important decision. We at MRCET, from the very inception emphasized on imparting quality education in various disciplines of engineering. During the past seven years we have made lot of efforts to make MRCET as one of the best engineering institutes in the country. The faculty members of the institute are selected carefully and updated continuously by exposing them to the recent technical innovations. The atmosphere at MRCET is friendly, cordial and perfectly suied to all round development of the students. A gentle soul with a fountain of knowledge, MRGI is highly qualified professional with an M.D. degree in medicine. By his youthful presence and with a proactive approach, he tirelessly endeavours to shape the destiny of the student community by imparting quality education in a conducive environment thereby motivating the students to successfully meet the contemporaneous needs of the industry. Dr. V.S.K. 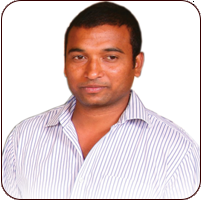 Reddy, Principal, Malla Reddy College of Engineering & Technology has an experience of more than 19 years in Teaching and Industry put together. He is alumni of IIT Kharagpur, he obtained Ph.D in the area of Multi-media Signal Processing and Communication Protocols. He is versatile in multidisciplinary specializations in Electronics & Communications and Computer Science Engineering. His laurels include more than 45 Publications in the National and International reputed Conferences and Journals. He is fellow of IETE, Life Member of ISTE and Member of IEEE. He was awarded as “Best Teacher” in three consecutive Academic years with citation and cash award. He is the recipient of “India Jewel Award” for outstanding contribution in the research in the field of Engineering and Technology. 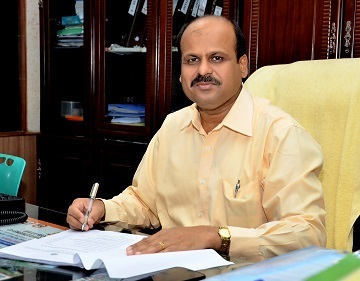 Dr.M.Murali Krishna received the degree of Bachelor of Engineering in Mechanical Engineering from Karnataka University and a Master of Technology in Energy Systems from JNTUH. 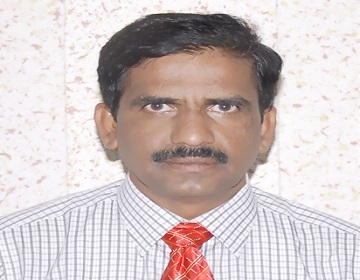 He has completed his Ph.D from JNTUH and he is having more than 22 years of experience in teaching and research and published 20 research papers in National and International Journals and conferences. He conducted 3 National Conferences with sponsorship from MNES Govt of India and attended 15 seminars and workshops. He established ‘Energy Park’ in R.M.K Engineering College, Chennai at cost of Rs. 7.67 lakh sponsored by Ministry of Nonconventional Energy sources and Rs 2 lakh sponsored by Department of Science and Technology, Govt of India.